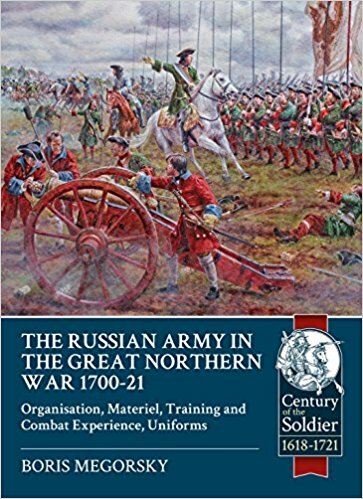 The book describes the armed forces of Peter the Great in its entirety, and covers in depth old Russian troops and irregulars, as well as Peter’s new standing army (guards, infantry, dragoons, elite units and artillery) and his brand-new force(the navy, with sailing ships and galleys, and marines). Besides the staffing, organization and development of troops, the book gives detailed account of uniforms, weapons and other materiel (both conventional and unusual). 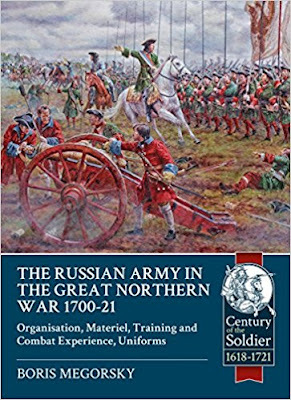 Training is described using drill manuals and tactical instructions of the period, and fighting methods actually performed on the battlefield are described - based on first-hand accounts and period observations from Russian, Swedish and impartial sources. Pitched battles that often predominate in descriptions of early-18th century warfare are given their due in the book; however, linear tactics on the field were not the only - nor even the main - type of actions during the Great Northern War, so the author goes into details of the sieges, small war actions and riverine, lake and naval combats. The author brings up materials that were unavailable to English-speaking readers and scholars so far, and the book not only contains the author’s own research, but is also based on the most recent works of other Russian scholars who specialize in various aspects of the Petrine military history; this makes the book a comprehensive and up-to-date overview of Peter the Great’s military force during the Great Northern War (1700-1721). The book is supplemented with numerous contemporary prints and paintings, photos of artefacts and recreated uniform kits, as well as specially-commissioned artwork that has been created by an artist who is knowledgeable in details from that period.